Our buddies in New York, Jacques Renault & Marcos Cabral, have been working hard on their On The Prowl imprint of late. Of particular interest on the roster is their latest signing, San Jose native Corinne, an artist who collaborates with wonder-producer Josh Anzano to bring the timeless sounds of Latin Freestyle flooding back to our ears. 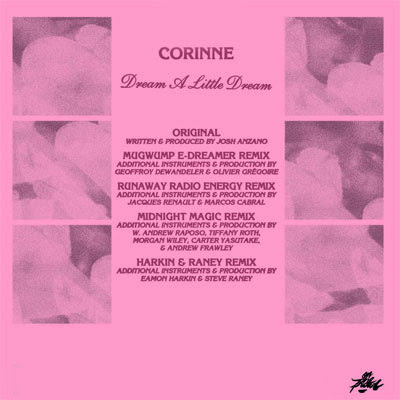 The boys kindly asked for a remix from Harkin & Raney (Eamon Harkin & Steve Raney) for the latest EP from Corinne. And they happily find themselves keeping company alongside Runaway (Jacques & Marcos), Kompakt’s Mugwump and the fantastic Midnight Magic. Here are is the full and dub versions of the Harkin & Raney remix. Enjoy!